On the third floor of "SUVACO JR KYOTO ISETAN", which is found directly inside of Kyoto Station, is this Japanese restaurant. Its most signature dishes are those featuring seafood over rice. 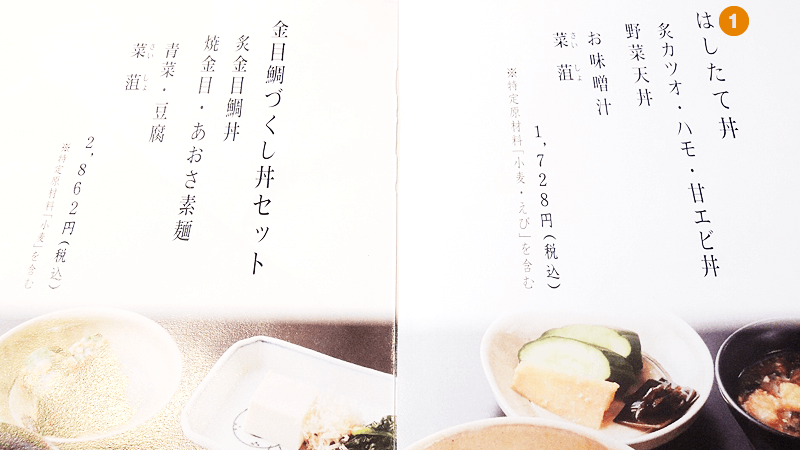 We recommend the set meals, which come with miso soup and other items. This shop is run by "Wakuden", a longstanding Kyoto restaurant, so the ingredients are fresh and the taste delicious. You can also enjoy some green tea and Wagashi (Japanese Sweets) after your meal. It’s a convenient destination while you wait for your bullet train. Sea bream sashimi seasoned with miso paste and served over rice. Eat about half, then pour the broth provided in the tea kettle to make "ochazuke." Fresh Japanese sweets delicately kneading lotus starch and refined Japanese sugar. "Hashitate don" is a set that contains two bowls. If you want noodles instead of rice, we recommend one of the mixed sets that contains a rice bowl and a noodle bowl. There is no menu in English, so you can rely on the photos and pick which one you find most delicious. There is no menu in English, so you can rely on the photos and pick which one you find most delicious. 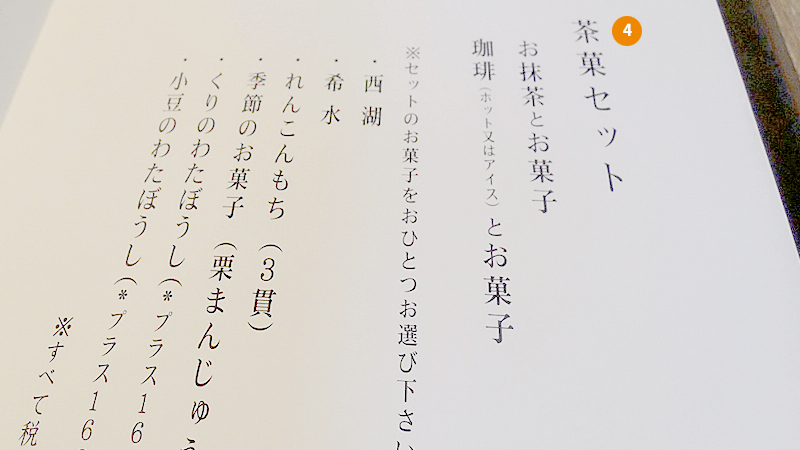 ・You can order your bowl with a normal quantity, a smaller quantity, or a bigger quantity of rice. Hearty male diners may like the standard or large portion, while the female patron may prefer the small portion. ・Tai no gomamiso don can be ordered as take-out, so you can enjoy it on your train or at your hotel. This restaurant Hashitate is in the Suvaco JR Isetan building by Kyoto Station. This restaurant offers you a chance to taste the classic dishes of Kyoto Wakuden in a casual setting. 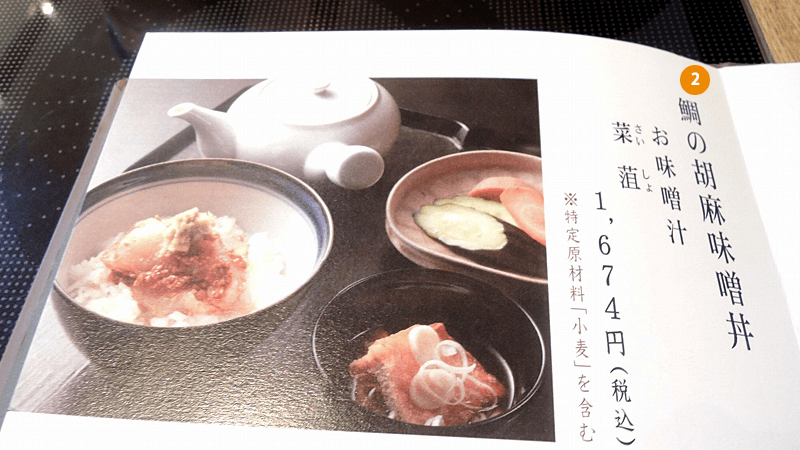 This restaurant is especially recommended for those who have not yet visited a kaiseki restaurant, and want to start with something relatively easy. 1-minute walk from JR Line Kyoto Station. Tends to get crowded at lunchtime (noon – 2:00PM) on weekdays and weekends. Expect a wait of 20-30 minutes.